A still from "Bye Bye Africa." It is a blessing and a curse to bear the title of a country’s “first feature film.” As we saw in the past decade with Haifa Al-Mansour’s Wadjda from Saudi Arabia, a country’s first feature can generate attention and momentum to inspire a future generation of filmmakers. In 1999, Mahamat Saleh Haroun’s Bye Bye Africa debuted as the first feature film from the country of Chad. 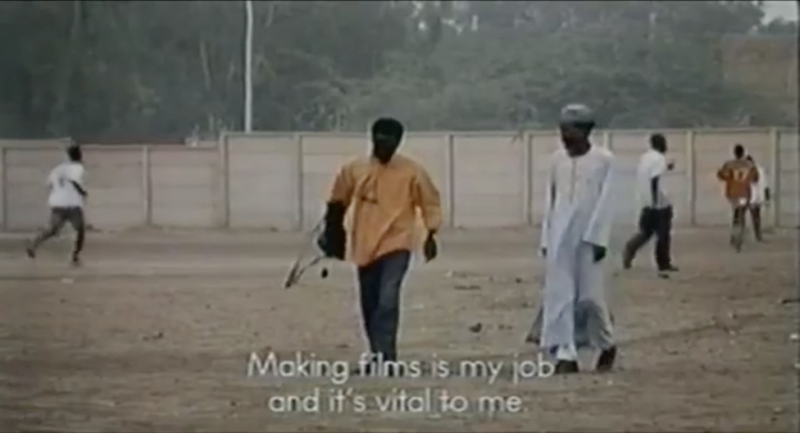 The film is to an extent autobiographical, enlisting techniques of both fiction and nonfiction filmmaking to tell the story of an exiled filmmaker returning to Chad to make a movie, identical in many ways to Haroun’s own journey. 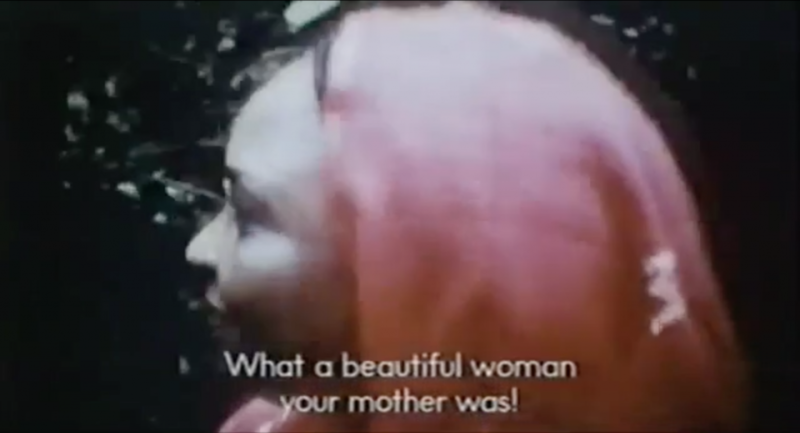 The film was a runner-up for Best First Film at the Venice Film Festival and launched Haroun onto a string of feature-length dramas set in Chad: Abouna, Daratt, A Screaming Man, and Grisgris. Despite its richness in philosophy, buttressed by Haroun’s careful dialogue as well as his deliberate alternation between Arabic and French, the film has been remembered as simply Chad’s first feature film, the one that helped launched Haroun’s career. Yet if one digs deeper than the surface-level film reviews, they may expose Haroun’s very personal statements of cultural disidentification throughout Bye Bye Africa as he navigates his own complicated relationship to Chad since his exile in France. Still from Bye Bye Africa. I feel even worse for having missed my mother’s burial. It was the final chance to see her face. I am so devastated, I need to take refuge in something. In cinema, most definitely. To forget my grief, I’m going to make a film in memory of the one who gave me my life. But perhaps this does not trouble Haroun—what makes his film “Chadian” as opposed to “French,” “African,” “Arab,” or some other label? While his writing is generally categorized within the field of queer theory, José Esteban Muñoz in Disidentifications: Queers of Color and the Performance of Politics describes the processes of identification, counter-identification, and disidentification, which may be applicable to Haroun’s own experience of self-identification as evidenced in Bye Bye Africa. Citing cultural theorist William Connolly, Muñoz explains identity as a “site of struggle where fixed dispositions clash against constituted definitions.” Through the psychological process of identification, Muñoz explains, the subject assimilates an aspect of themselves to conform with the “other.” We can speculate that Haroun’s embracing the French language throughout much of Bye Bye Africa is not a nod toward colonialism but rather a result of his own identity formation upon moving to France decades prior. In the context of France, Haroun still retains several strong elements of counteridentification, a refrain from assimilation, exemplified when his children ask if they will ever visit Chad: “Your mom says it is dangerous, but I still have hope.” Yet it is precisely through Haroun’s return to Chad, and his mission to make a movie, that leads to scene after scene of difficulties he faces as a person no longer identifiable with the essentialist qualities of “Chadian” or “French.” In the market, a stranger disrupts Haroun’s filming, shouting and seizing Haroun’s camera. “Why is he filming us? He’s not from here! 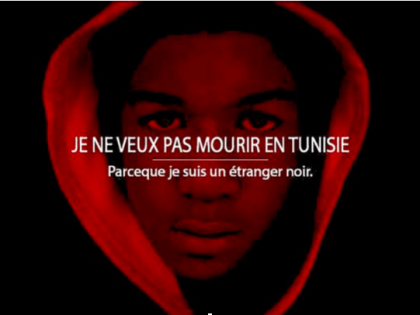 He’s stealing our image!” Haroun has out of necessity undergone a process of disidentification: a shrugging off of identifications and counteridentifications in what Muñoz calls “the survival strategies of the minority subject” but in Haroun’s case applies to both France and Chad. 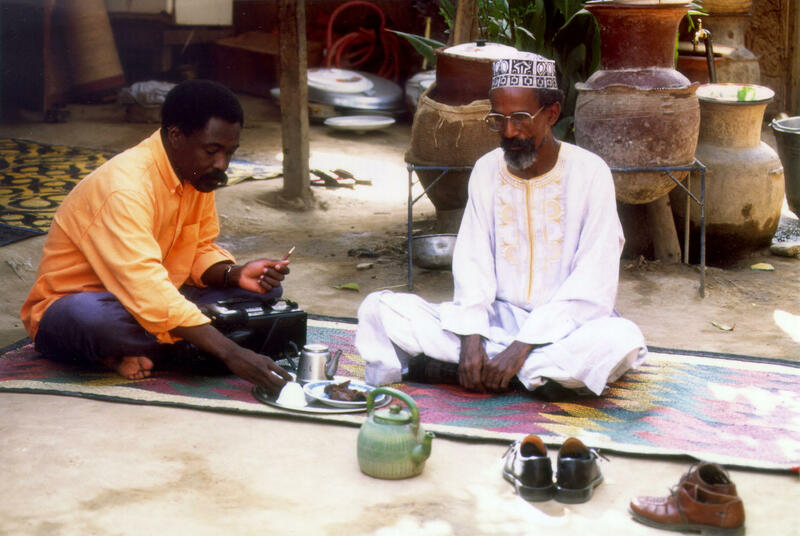 A nuanced analysis of the language choices and dialogue by Haroun reveals a pondering of his own identity and personal role in the future of cinema in Chad. When I first met Haroun at the 2013 Festival Cinémas d’Afrique in Lausanne, Switzerland, where our films were screening, I told him about my own struggles to identify after leaving the United States for Chad as a child. I have always wondered why Haroun leans toward French in many situations one might assume would call for Arabic. I asked him what people made of his identity: People will say what they will say, but who you are is irrelevant to them. Perhaps Haroun’s ties are closer to cinema than to any other identity. 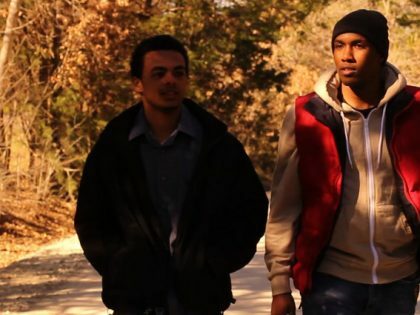 A film about a Sudanese migrant to America explores a general fact of contemporary existence.